There are days in which we need to tell ourselves we love who we are. We need to be reminded that we have the power to do what we need to do. There are days in which you might need to read these positive affirmations for women in order to remember that. Positive thinking does not always come natural on a rainy and sad day. This is why the times get rough, I always make sure to have a list of positive things I can tell myself in order to get right up where I need yo be. Here is a list of healing positive affirmations which you might enjoy! 01. You are beautiful, and you do not need anyone telling you that in order to feel it. 02. You deserve happiness, and need to try giving happiness to others without sacrificing what you have. 03. Do not be afraid of judgement. 04. Once you set your mind to something the only thing that can stop you is yourself. 05. Be proud of yourself and of what you have accomplished. 07. Someone will love you and accept you, no matter what. 08. Anything you imagine is possible. 09. You don’t need a permission to dream. And when you dream, dream big. 10. Not only you are beautiful outside, but also inside. I hope you enjoyed these positive affirmations for women. May they be of help during darkest times, when you need them the most. 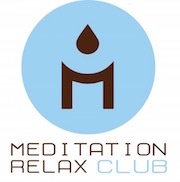 For more healing affirmations and a world of relaxation, visit the rest of my blog and the Meditation Relax Club channel.